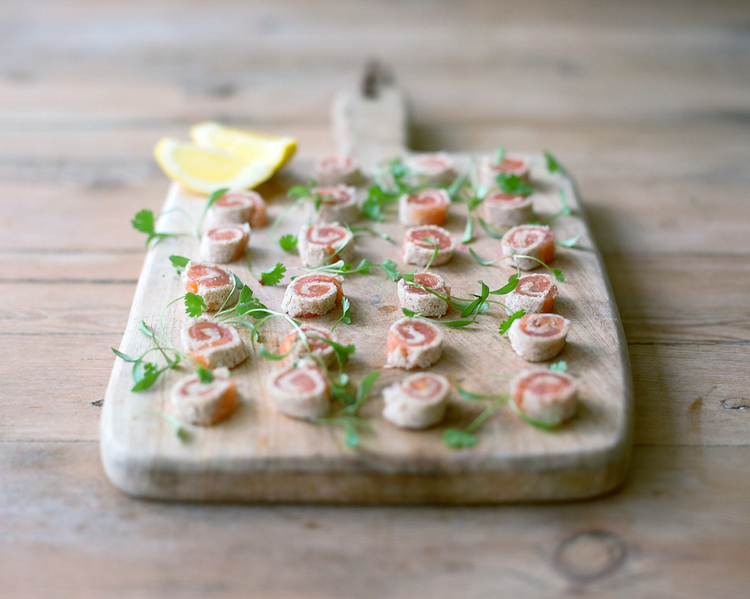 Smoked salmon, lemon butter pinwheels. Celebrate in style this Christmas with this super simple canapé recipe. Trim the crusts from the bread. Roll out the bread with a rolling pin until thin, then spread with an even layer of lemon butter. Top with a thin layer of smoked salmon, season black pepper. Roll up into 4 long roll, wrap in cling film. Leave to set in the fridge for at least 15 mins or up to 4 hrs. Using a sharp knife, cut each roll crossways into 10 to make bite-sized pinwheels. Arrange on a platter or a wooden board.